His life was saved because a mother trusted her intuition and the ER team knew what to do. 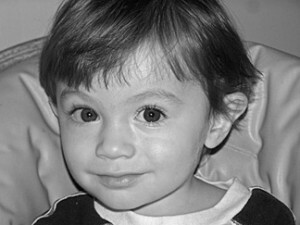 Our son Daniel was born full-term on April 3, 2006 as a healthy baby boy. On April 24, we took him to see the pediatrician for a well-baby check-up, and he was doing great. Four days later, Daniel was not nursing well; he was sleeping all day; his color became pale, and his breathing was very rapid. We called the pediatrician on call and explained Daniel’s symptoms, but he assured us that our son would be fine. The pediatrician told us he would be fine. He said all newborns breathe rapidly and have irregular feeding patterns. He told us to stay home and wait until the next day to bring Daniel in. I hung up the phone to see my husband holding Daniel, whose tiny chest was rising and falling rapidly. Daniel is my second child, and I knew in my heart something was not right. We immediately got into the car and drove to the emergency room, but in the eight minutes it took to reach the hospital, Daniel was now turning blue. The emergency room nurse immediately took Daniel from me and began life-saving efforts. His heart rate was over 280, and he was flown to Brenner Children’s Hospital at Wake Forest University Baptist Medical Center. Daniel was diagnosed as having supraventriculartachiacardia (SVT), which is rare in newborns. Many infants die from SVT, and often the cause of death is mistakenly labeled as SIDS. Daniel was given two heart medications, and seven days later we were able to bring him home with us. Even more miraculously, five months later Daniel was taken off the heart medications completely and given a clean bill of health. Daniel’s case of SVT was the first at our hospital and for the group of pediatricians in our small city of Galax, Virginia, and his case has served to help educate the doctors here in Galax. Had I listened to the pediatrician on call, however, Daniel would not be here today. We hope sharing Daniel’s story will bring more attention to and help educate parents and doctors on the signs and symptoms of SVT. Daniel is truly a miracle child, and all babies deserve the same chance at life.